As the title says, I wanna know some of your favourite battles in Bleach and why?!? Just so many to mention! I think I'll just end up going reviewing every fight, but off the top of my head I'll always laud Ichigo vs Ikaku as one of the greats. A lot of the fights during the Rukia SS Arc were great, and a lot for the similar reasons. I loved that there were sword physics, epic twists and turns and cuts, and man the wounds felt really raw. Just the fact that Ichigo complaining about having a bleeding cut over his eye made it all the more intense! When Ikaku revealed how his Shikai really worked you felt the shock at the twist. When Ichigo finally got fast enough to catch Hozukimaru you felt the epicness. 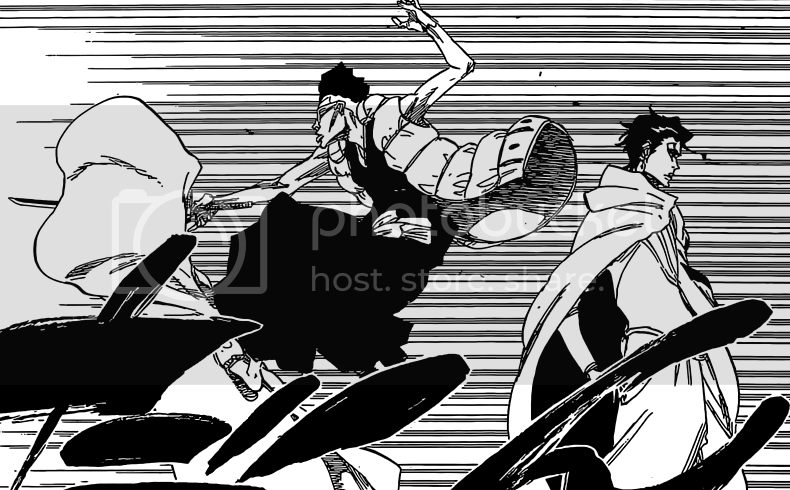 Shunsui vs sniper dude. The built up to him being forced to go bankai I was epic. When I saw it in soulmadness YouTube channel, it made my favorite fight buildup. I liked the back and forth and I actually appreciated the story within the battle with nanao. i also like how the bankai didn't finish him off but I didn't really like the whole god slaying sword. Lame! They better use it again. If we go anime, my favorite fight was nnoitra vs kenpachi. It was your basic fight scene but I liked the Japanese dub yell from nnoitra when he went resurrection form. The way he died was also epic. Agreed. That one was pretty swell. It had a lot of that gritty nastiness, and the bankai was terrifying. What did you think of Nimayaa vs the Elite Sternritters before their power up? Even though he got gunned down in the worst sort of way it was just so badass . when he jumped stabbed pernida, that was so F******** nasty. So gangster! And on Soul Madness: More people need to know about that Youtube channel. So good! I saw it first for Urahara's Bankai. He mixes the music and panels real well.